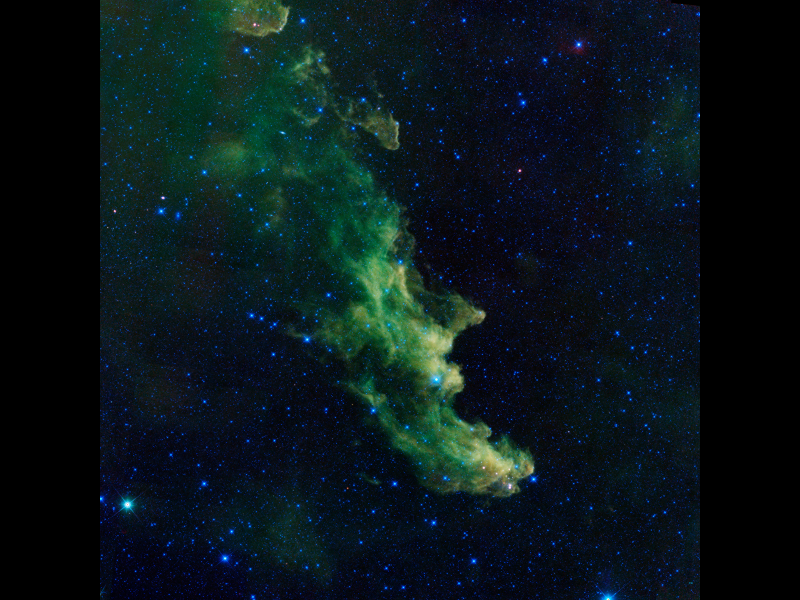 NASA has published a fresh view of the lovely Witch Head Nebula taken by their Wide-Field Infrared Survey Explorer. Attractive even after you realize the witch profile that gives this cluster of new stars bounded by dust its name. Astronomers say the billowy clouds of the nebula, where baby stars are developing, are being lit up by massive stars. Dust in the cloud is being hit with starlight, initiating it to spark with infrared light, which was picked up by WISE's detectors. The Witch Head nebula is expected to be hundreds of light-years away in the Orion constellation, just off the well-known hunter's knees.